At radio school in Madison, Wis., Helen learned Morse code and did communications work during the first part of the war. She and the other girls in the office would receive 24-hour news through the teletype machine and they were responsible to hand out a printed version and pass along any important information. They also communicated to other bases through code and operated telephone banks. In November of 1943, Helen began working at the Air Traffic Control on the main base in Corpus Christi. There she worked with pilots, giving weather conditions, keeping track of flights and controlling the flow of air traffic. SNJ planes were used for training during World War II and Helen’s first airplane ride was on one of these small aircraft. 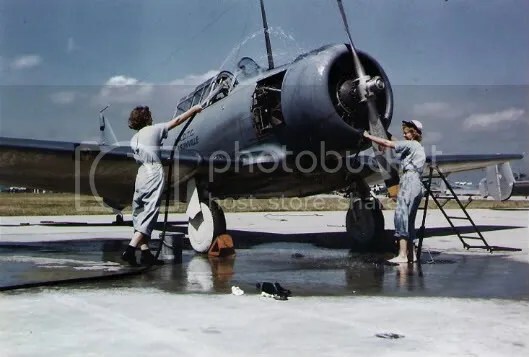 Pictured below are two Navy WAVES washing an SNJ training plane in Florida. Helen and her husband, Chuck, who was a pilot, later bought their own SNJ plane. 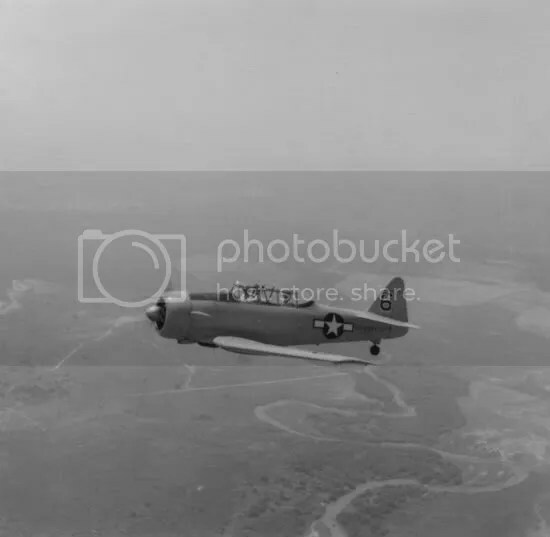 They are pictured below riding in the plane over Palm Springs, Calif.